Matthew Maleski is the project executive that takes the project from a conceptual level and brings the project to reality. His attention to detail on providing value engineered options, life cycle, cost analysis, and design-build initiatives helps the client with their bottom line while also making sure they complete the end result on a design that they procured. He has been in construction management for 12 years now and has managed $110,000,000 in property development and over 600,000 SF of base building and tenant improvements. 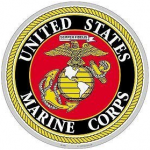 Mr. Maleski has a masters in construction management from the University of Drexel in Philadelphia PA and is also a United States Marine Corps Combat Veteran. Mr. Maleski takes ownership of all team members on each of his projects whether it is the project manager, superintendent, architect or engineer and ensures that each project is like his own investment. Adriana Maleski is the chief financial officer and manages the accounts receivable and payables for each project. She is responsible for financial audits and maintaining bonding capability for the company. She is also responsible for all marketing and project coordination in making sure that MSF Contracting Group reaches all markets that the company is vying for. She has a background in media advertising with emphasis in BLT alternative media. She specializes in marketing strategies, customer relation management, branding, strategic planning, and execution of logistics and team management. Joseph Maleski is a duel positioned General Superintendent and Project Manager. He is adds value to our team through attention to detail, problem solving, cost saving solutions, and experience in both field and office management. Joseph has been in construction for over 5 years and though that may seem like a short period of time the results he has produced would say otherwise. He has completed over 300,000 SF of property development as a general contracting project manager. During his initiation into the construction field, Joseph worked as a union electrician on the east cost completing multiple, complex electrical jobs as a sub-foreman. He went on to form his own electrical subcontracting company and successfully constructed a 60,000 SF property. Joseph’s experience and technical knowledge add a depth to the team that is nearly unsurpassable. As a leader in our company, Joseph can add the value of construction expertise to your project. Nathan is a responsible Site manager proficient in the construction trade. Passionate and motivated, with a drive for excellence. 10 years in Construction trades and business management positions. Goal-oriented and dedicated to high levels of customer satisfaction and meeting aggressive business goals. High attention to detail to meet our customers expectations. He has supervised over 120,000 sf base buildings and tenant fit out improvement. My name is Art Mitchell and I have worked up through the ranks in construction. I had an early start, Ten years old I worked with my Father on the weekends. At sixteen years old I started framing commercial projects. Four years later I joined the union as a Commercial Carpenter / Piledriver. I opened up business in 2010 working residential remodels. Since Then I have managed projects from: 1,000 sq. ft. residential remodels to 75,000 sq. ft. commercial remodels . States I have worked in include: Texas, California, Washington, Oregon. Projects I have managed: Restaurant Builds; Brewery Builds; Fast Food Builds; Class A and B offices; Class A and B malls; Data infrastructure; Secured Access; Small Clinics; Custom Homes; Site improvements commercial and residential. I enjoy working with teams across the project lifecycle and in the field.